Staff Sgt. David J. Whitcher was killed this week in a dive training exercise. 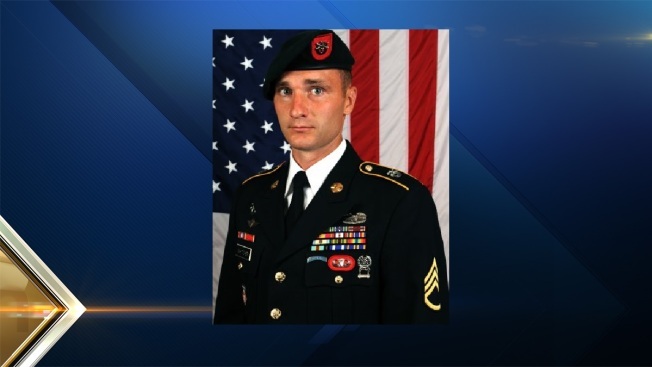 An Army Special Forces soldier from New Hampshire died during a training exercise in Florida this week. Staff Sgt. David J. Whitcher, 30, of Bradford, died during a dive training exercise on Wednesday off the coast of Key West. His cause of death remains under investigation. Whitcher was a student in the Combat Diver Qualification Course assigned to Company C, 2nd Battalion, 1st Special Warefare Training Group at the U.S. Army John F. Kennedy Special Warfare Center and School. Prior to that, he was assigned to Company C, 2nd Battalion, 7th Special Forces Group as a Special Forces engineer sergeant. "Our primary focus right now is to care for his loved ones," 7th Special Forces Group Commander Col. Michael A. Ball said. "As always, we will take care of our own and help his family in their time of need." Whitcher enlisted in the New Hampshire National Guard in 2008 as a carpentry and masonry specialist. He was a veteran of two deployments to Afghanistan as a member of the National Guard in his home state. New Hampshire Gov. Maggie Hassan said Whitcher was "a decorated soldier whose service and sacrifice made our country safer and our freedom stronger." She said she will direct flags to half-staff on the day of Whitcher's memorial service once announced. "I am deeply saddened to hear of Army Staff Sgt. David Whitcher's passing," Sen. Jeanne Shaheen added. "My thoughts and prayers are with Staff Sgt. Whitcher's family and his loved ones as they mourn his passing and honor his service."